Sunday K of C Sunday Adoration at Notre Dame Convent, Thornton St., Saco, ME. Click HERE for sign-up schedule and information. 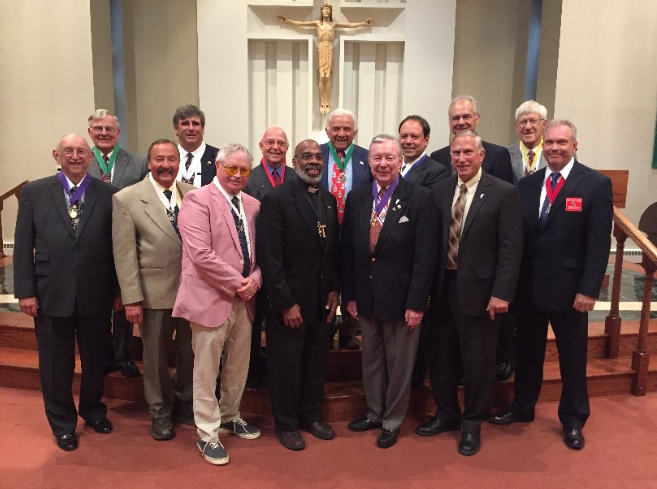 From Left to Right: James Saunders, John Bacon, Timothy Gallant, Richard Shields, Stephan Wilson, Ray Jean, Deacon Darrell Blackwell, Carmine Dolce, Al Gombar, John Hersey, Kevin King, Phil Lizotte (District Warden) , Bill Butterfield, and Ray Porelle (District Deputy). Go to The LIFE tab to view the trailer of the movie UNPLANNED. Check out the new Schedule Tab Above for all council scheduled activities.